We’re hosting a party and you’re invited! 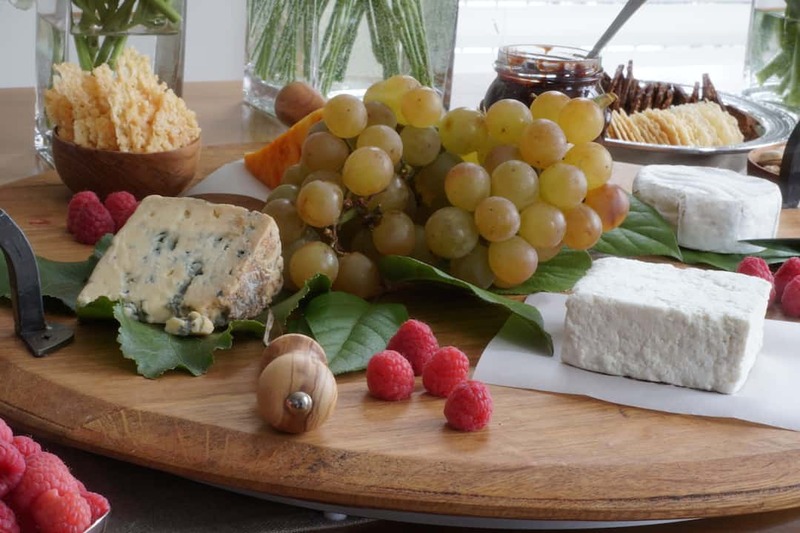 Check out our FOOD, WINE & ENTERTAINING IDEAS to turn your next get-together into a very special occasion! Disclosure: This post is sponsored by our friends at Woodbridge by Robert Mondavi Wines, who pass on a friendly reminder to please drink responsibly. Cheers! Experience has shown me that having people over need not be a stressful affair, and should, in fact, be a lot of fun. Consider our suggestions, then pick a date, call your friends and family and get ready to have a great time. After all, isn’t making the most of your everyday moments what life’s all about? Here’s to good times with the people we love! 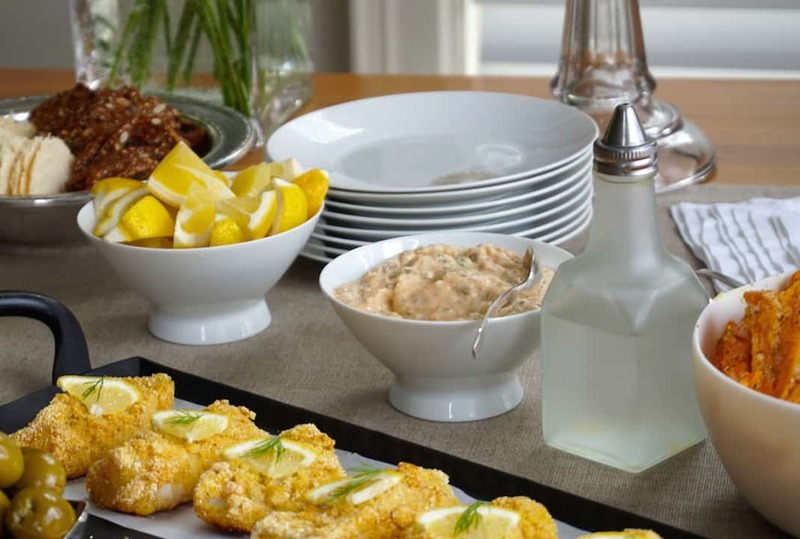 One of the most important things is determining the type of get-together you’d like to host. 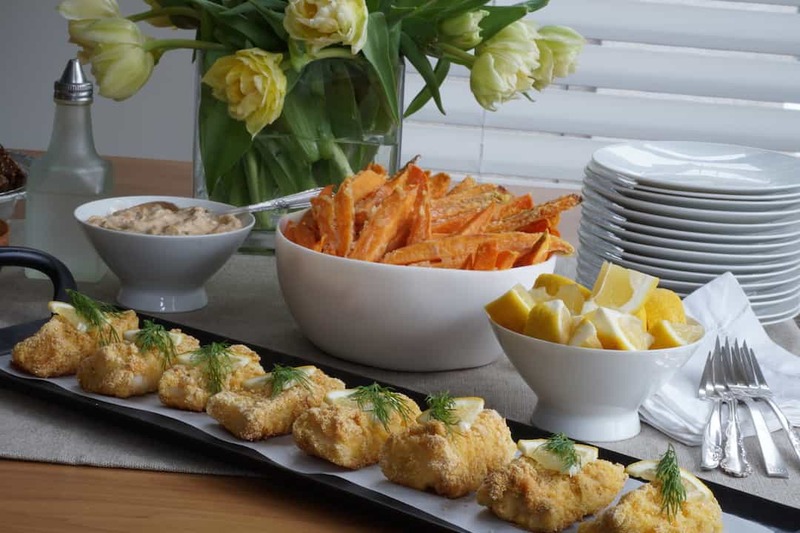 We think your party will be a sure-fire hit if you concentrate setting all the food and refreshments up in one area – think of it as a complete “service” station. So, whether you set up on a dining table, kitchen counter, coffee table or sideboard, indoors or out, consider stationing it in an easily accessible place close to your main food preparation area. Doing so will prevent you from being run off your feet. 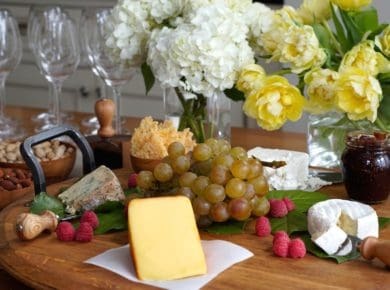 Incorporating fresh flowers into your food and refreshment station is a wonderful way of adding visual interest. 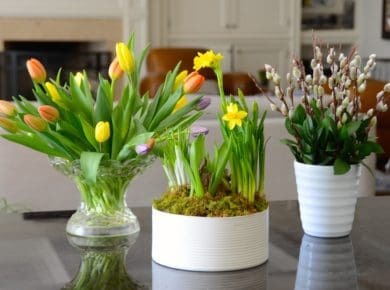 Use silk flowers if you’d rather, and if you’re pressed for time, just clip some greens from your garden or arrange an assortment of fresh fruit in a footed display piece. This pop of colour and the variation of height will make your display more inviting. 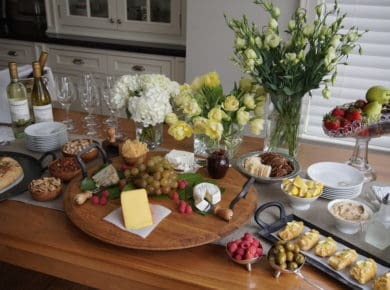 One of the easiest ways of reducing the stress of hosting a party is to set up a wine station on the same table where you’ll be presenting the food. Doing so creates a one-stop shop for guests, but it also concentrates everything you need to monitor in one location. Never forget our secret goal – you deserve to also be a guest at your own party! Placing your selected wines out (read on to find out which wines I selected for this story) along with a wine bucket, coasters, wine collar and glasses is easy to set up. One thing I always recommend you do is set out more glasses than the number of guests attending – this will allow them to try the different wines on offer, which is a nice touch. Read carefully: never (as in NEVER, EVER) experiment and test a new recipe when you have company coming. 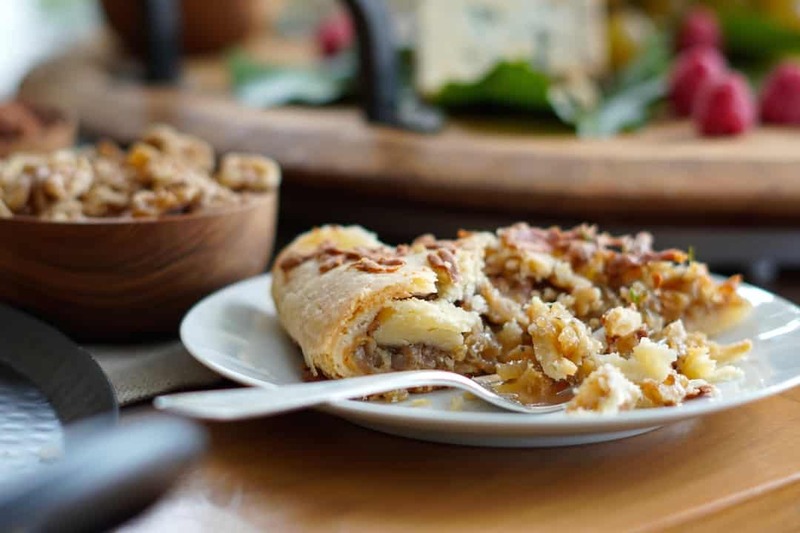 Instead, prepare delicious food offerings that you know will turn out perfectly without incident. 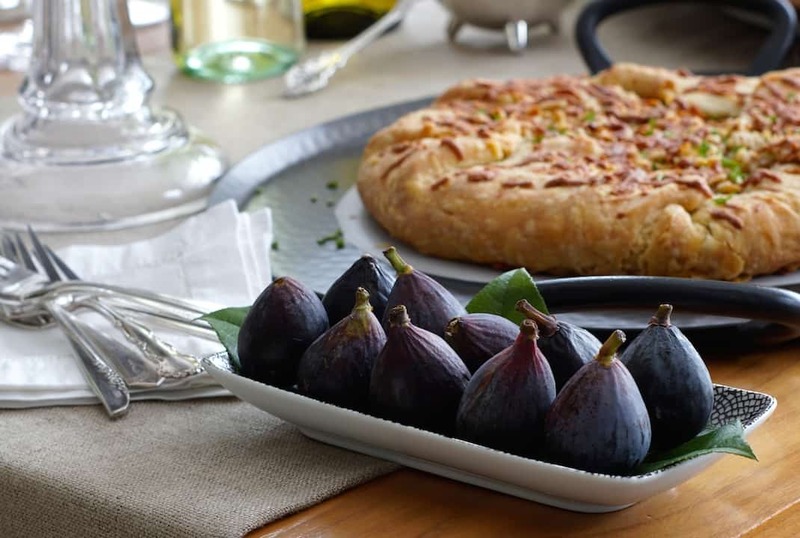 For this story, we created a selection of fruit and cheese presented on a handy Lazy Susan, our HEALTHY FISH & CHIPS, and my new favourite just-can’t-stop-eating-it CARAMELIZED ONION TART WITH MANCHEGO. Click the links in this story or in the video for full recipes. 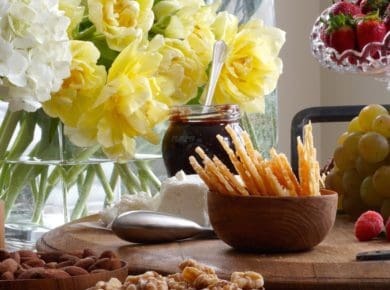 Additional options I’d place out for my guests’ enjoyment include an assortment of nuts, crackers, marinated olives, fresh fruit, Parmesan crisps and condiments specific to the food I’m serving. 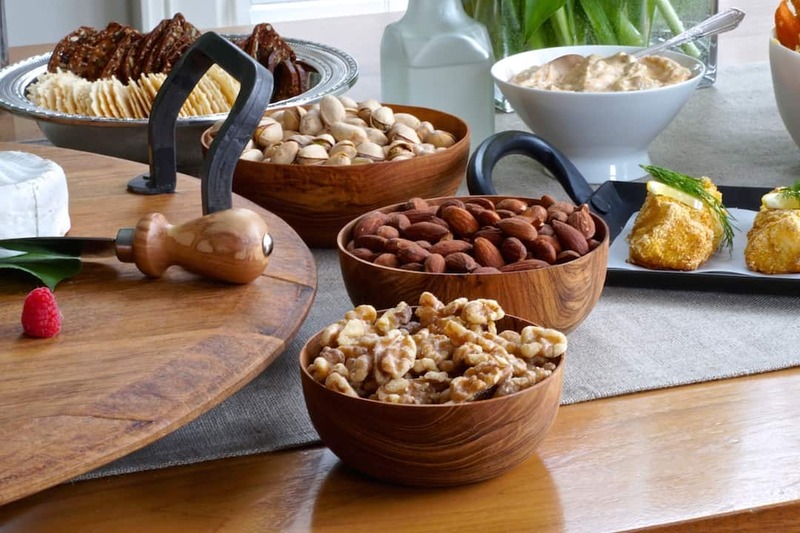 Don’t go overboard, but do add a few little items to entice your guests. Each and every time I throw a party, I take a moment before guests arrive to run through my mental checklist, ensuring everything my guests and I need to enjoy ourselves is placed out. 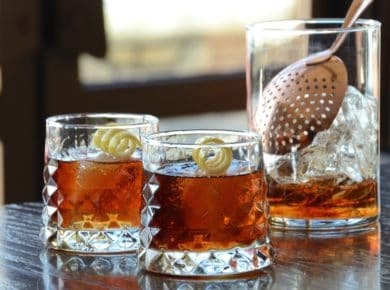 What napkins should I use – cocktail or dinner-sized, paper or linen? 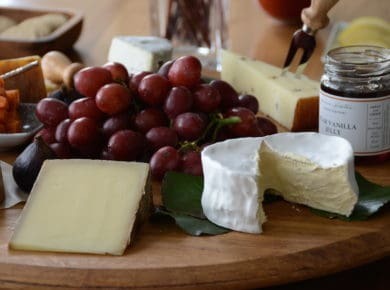 What tableware will we need – spoons, forks, tongs, lifters, cheese knives? Thinking about all of these things in advance to will keep your service “en pointe”, but it also avoids having to rifle through kitchen drawers mid-party. 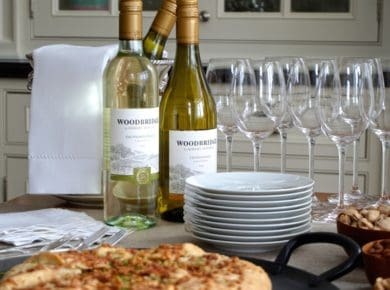 For this party, I selected two wines from Woodbridge by Robert Mondavi Wines – you can look for Woodbridge wines in the California section of your liquor store. My food offerings paired perfectly with two of my favourite wines, both of which enhance the flavours. The first is their CHARDONNAY, with its yellow apple, cinnamon-caramel oak and floral aromas. 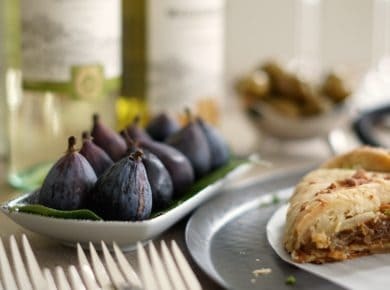 This wine works perfectly with roast chicken and noodle dishes, but I’ll go on record saying it was absolutely made to compliment my onion tart – swear! The second selection is their SAUVIGNON BLANC. 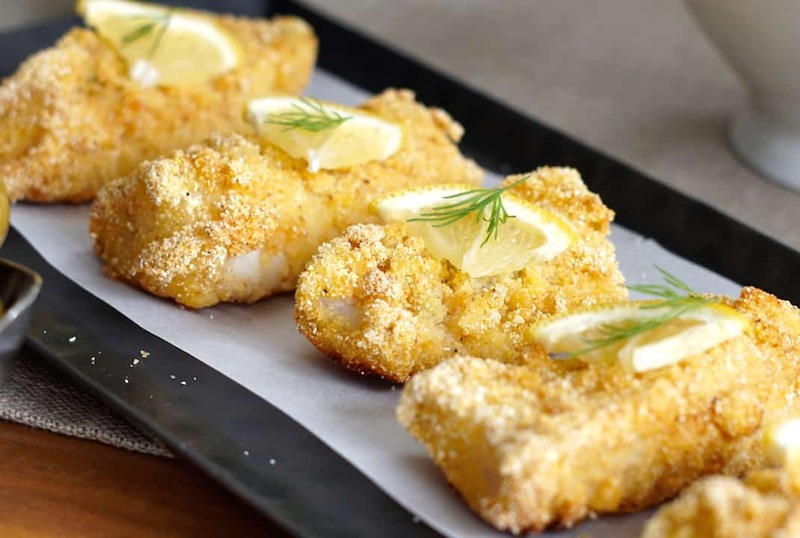 It boasts bright, crisp, refreshing acidity and this fruit-forward wine shines on its own or with cheese and our healthy baked fish and chips. Enjoy any of these wines on their own, paired with simple summer fare or try a wine cocktail recipe. 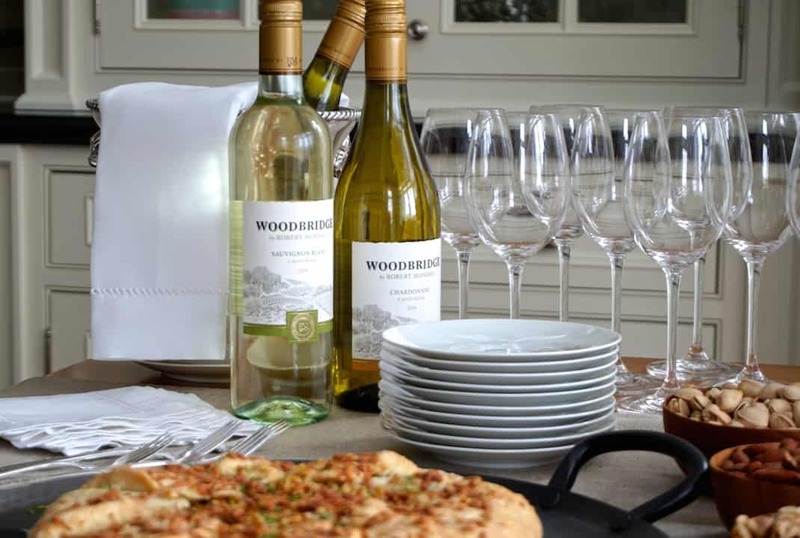 If you’d like to learn more about the white wines from Woodbridge by Robert Mondavi Wines, head HERE. For information on where to find the wines plus, pairing information and recipe ideas, head HERE. Bottom line – Spring/Summer is the ideal time to celebrate everyday moments with family and friends. 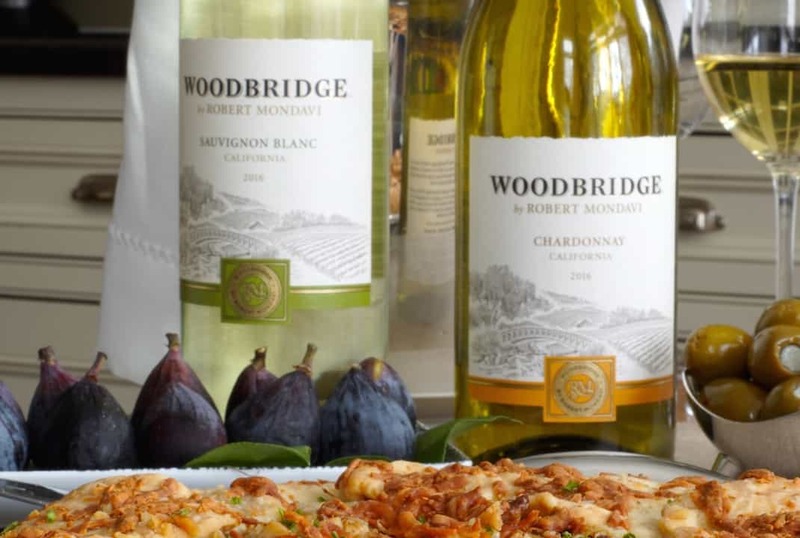 Make memories by pairing everyday meals and a white wine from Woodbridge by Robert Mondavi Wines and sharing it with family and friends. I’m hoping you now feel inspired to host a party. Simply start with your plan and follow our tried and tested suggestions. 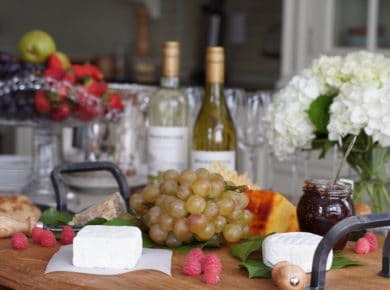 Prepare delicious food and serve refreshing, memorable wines like the two we suggested above. Here’s to celebrating life’s everyday moments – and our FOOD, WINE & ENTERTAINING IDEAS guarantee your success. Cheers! Looks delicious and the setting very inviting. Thanks, Bernice – when are you coming up this summer… so we can have you up? 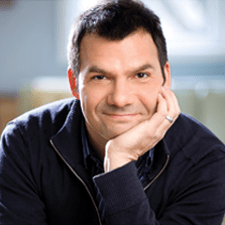 Hi Nik & Carol – the entertaining ideas video is a great addition! I love the choices of flowers for the table! great ideas! Thank you Ramona! Hope to see you when you visit next!